Perhaps you haven’t noticed looking at the sky, but space has changed. Whereas space was dominated by the United States (U.S.) or the USSR during the second half of the 20th Century for military and defence purposes, since the 21st Century space is now also, and mostly considered as a fantastic reservoir of economic and environmental opportunities for multiple players. 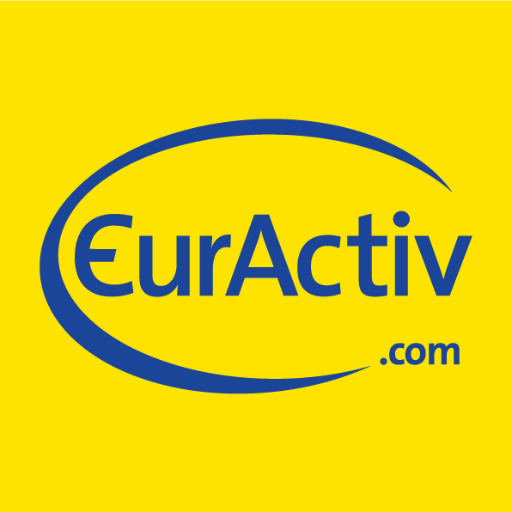 Despite the diﬃcult premises in 1975, the European Union (EU) can now take pride in many successes achieved over the last twenty years, in a fast-changing sector that has recently become drastically more competitive. Space is a fruitful playground: more than 10% of the EU’s GDP already relies on services linked to it. We are so dependent on satellites that we would have a hard time imagining our lives without the services they provide. This is particularly clear in the ﬁeld of mobility: transport alone relies largely on services linked to space for digital infrastructure, meteorological monitoring or basic orientation in modes of transportation. 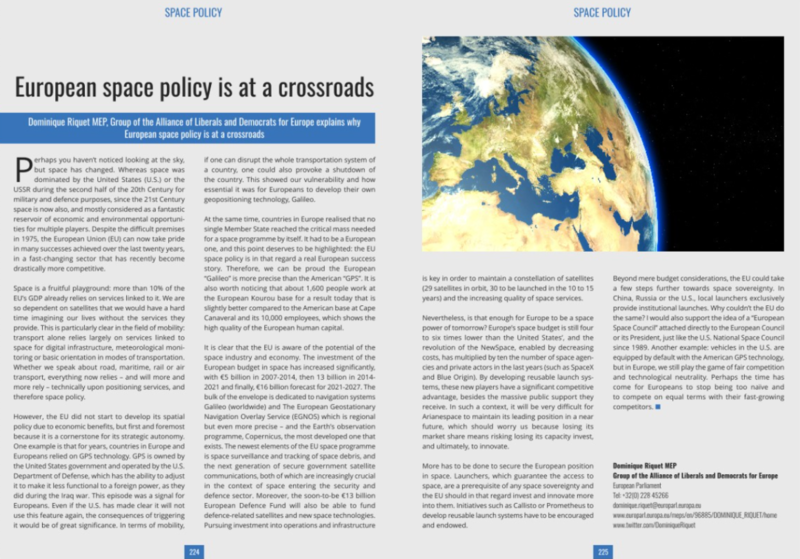 Whether we speak about road, maritime, rail or air transport, everything now relies –and will more and more rely –technically upon positioning services, and therefore space policy. However, the EU did not start to develop its spatial policy due to economic beneﬁts, but ﬁrst and foremost because it is a cornerstone for its strategic autonomy. One example is that for years, countries in Europe and Europeans relied on GPS technology. GPS is owned by the United States government and operated by the U.S. Department of Defense, which has the ability to adjust it to make it less functional to a foreign power, as they did during the Iraq war. This episode was a signal for Europeans. Even if the U.S. has made clear it will not use this feature again, the consequences of triggering it would be of great signiﬁcance. In terms of mobility, if one can disrupt the whole transportation system of a country, one could also provoke a shutdown of the country. This showed our vulnerability and how essential it was for Europeans to develop their own geopositioning technology, Galileo. It is clear that the EU is aware of the potential of the space industry and economy. 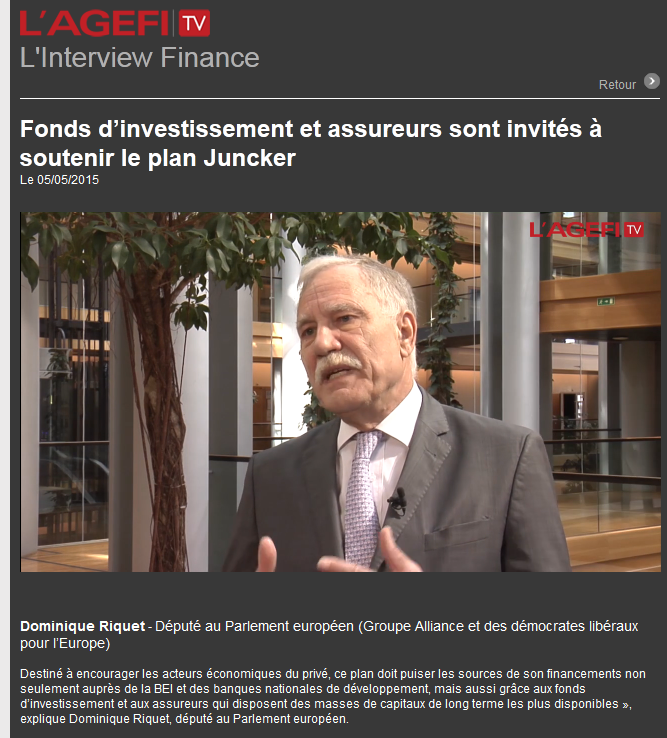 The investment of the European budget in space has increased signiﬁcantly, with €5 billion in 2007-2014, then 13 billion in 20142021 and ﬁnally, €16 billion forecast for 2021-2027. The bulk of the envelope is dedicated to navigation systems Galileo (worldwide) and The European Geostationary Navigation Overlay Service (EGNOS) which is regional but even more precise –and the Earth’s observation programme, Copernicus, the most developed one that exists. The newest elements of the EU space programme is space surveillance and tracking of space debris, and the next generation of secure government satellite communications, both of which are increasingly crucial in the context of space entering the security and defence sector. Moreover, the soon-to-be €13 billion European Defence Fund will also be able to fund defence-related satellites and new space technologies. Pursuing investment into operations and infrastructure is key in order to maintain a constellation of satellites (29 satellites in orbit, 30 to be launched in the 10 to 15 years) and the increasing quality of space services. Nevertheless, is that enough for Europe to be a space power of tomorrow? Europe’s space budget is still four to six times lower than the United States’, and the revolution of the NewSpace, enabled by decreasing costs, has multiplied by ten the number of space agencies and private actors in the last years (such as SpaceX and Blue Origin). By developing reusable launch systems, these new players have a signiﬁcant competitive advantage, besides the massive public support they receive. In such a context, it will be very diﬃcult for Arianespace to maintain its leading position in a near future, which should worry us because losing its market share means risking losing its capacity invest, and ultimately, to innovate. Beyond mere budget considerations, the EU could take a few steps further towards space sovereignty. In China, Russia or the U.S., local launchers exclusively provide institutional launches. Why couldn’t the EU do the same? I would also support the idea of a “European Space Council” attached directly to the European Council or its President, just like the U.S. National Space Council since 1989. Another example: vehicles in the U.S. are equipped by default with the American GPS technology, but in Europe, we still play the game of fair competition and technological neutrality. Perhaps the time has come for Europeans to stop being too naïve and to compete on equal terms with their fast growing competitors. Retrouvez l’article publié par Open Access Government ici (pp 224-225). 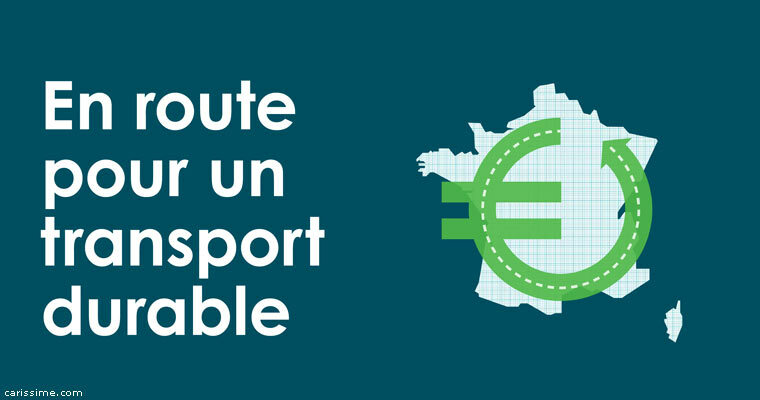 [INTERVIEW] En route pour un transport durable !